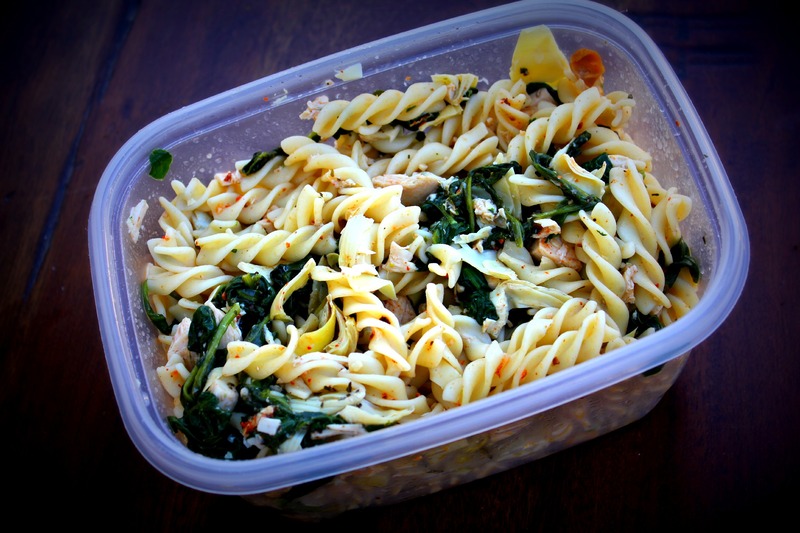 This is a very easy pasta salad recipe that works great as a make-ahead lunch/dinner for a busy week. 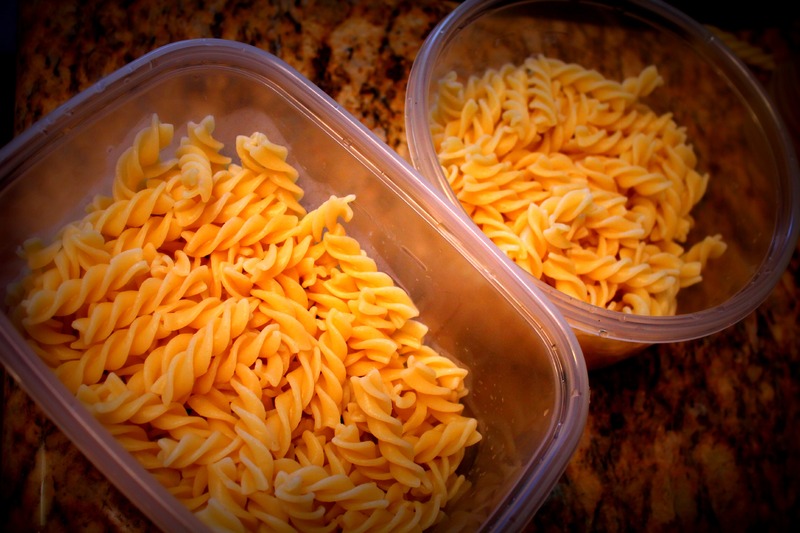 I prepare the ingredients and combine them straight into tupperware containers to store in the fridge. This pasta salad is great COLD, which is nice for us AZ peeps as the weather heats up. 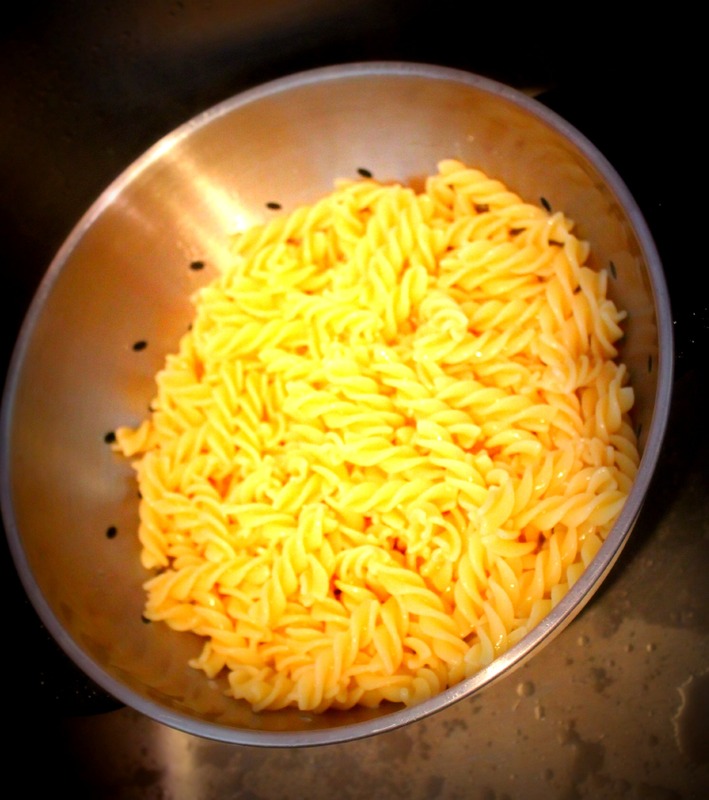 Fusilli Pasta, or ANY kind of pasta you wish. Cook pasta as directed by package. Strain and place in tupperware and let cool completely. Meanwhile, sauté crushed garlic with a little bit of olive oil in a pan. 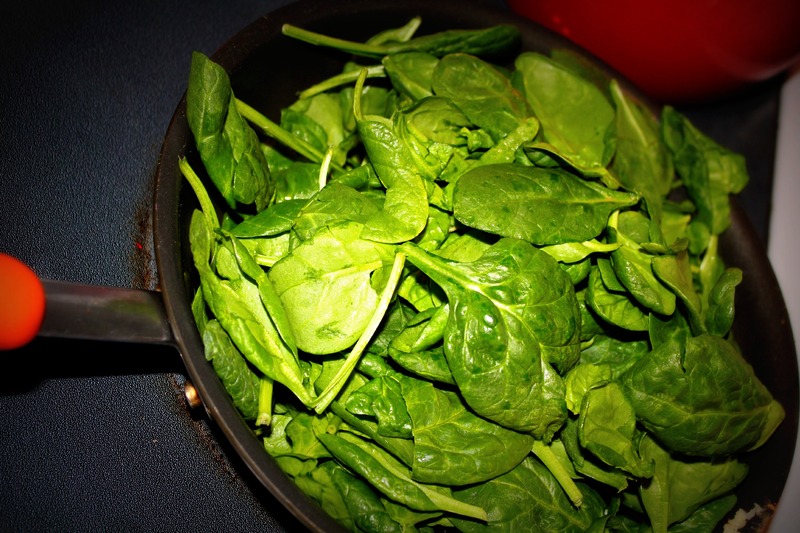 Add spinach until wilted down. Let cool. Combine all ingredients into tupperware and add italian dressing, salt and pepper to taste. Trying a new recipe is exciting, but you don’t want to take a huge hit in the ole pocketbook for an undetermined outcome. Spices can be costly! Especially if you are buying ones that you are not using often. In the standard spice isle, you can pay upwards of $4-$8 . . . and sometimes that just isn’t what’s in the (recipe) cards! Check it out before you check out. For my “other half’s” birthday this year. . . he requested FRIED CHICKEN. Oh Lordy! I feel pretty passionate about the way I like my Fried Chicken, even though I have never made it myself. I HATE when you eat Fried Chicken and it just tastes like bland grease. That is the worst. So, I wanted to make sure this was some good ole BIRTHDAY FRIED CHICKEN. I remembered a Mexican Fried Chicken recipe I saw on The Rachael Ray Show a few months back that I wanted to try and never had the time to execute. This was the perfect opportunity. At the birthday chicken fry, we offered both Mexican Fried Chicken and Southern Crispy Fried Chicken for a fun little taste test. 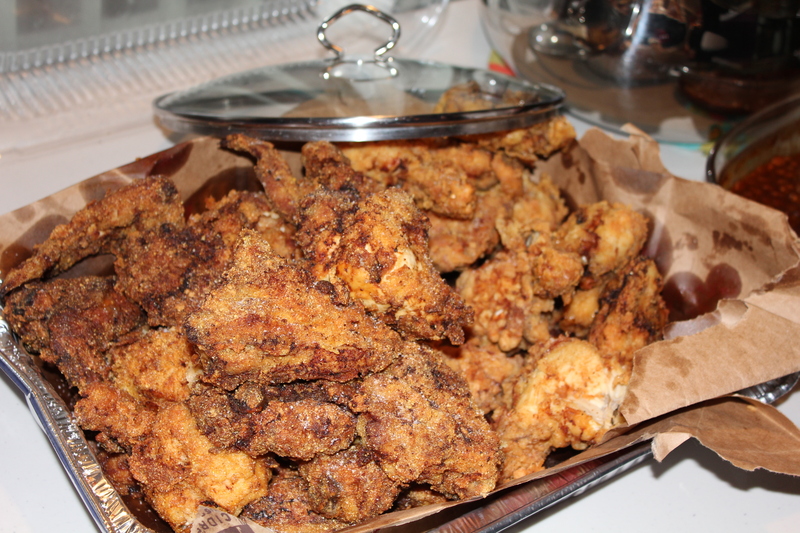 This twist on Fried Chicken was a HUGE hit with our 20 family members. . . but I will say my Mom’s Southern Crispy Chicken held its own. I will share that recipe with you sometime soon, I promise. You can see RR’s full recipe and method, here – but I wanted to tell you what I liked about the recipe, and what I will do differently next time! 3 tablespoons cider vinegar KF- Definitely a keeper. This made the chicken very tasty! 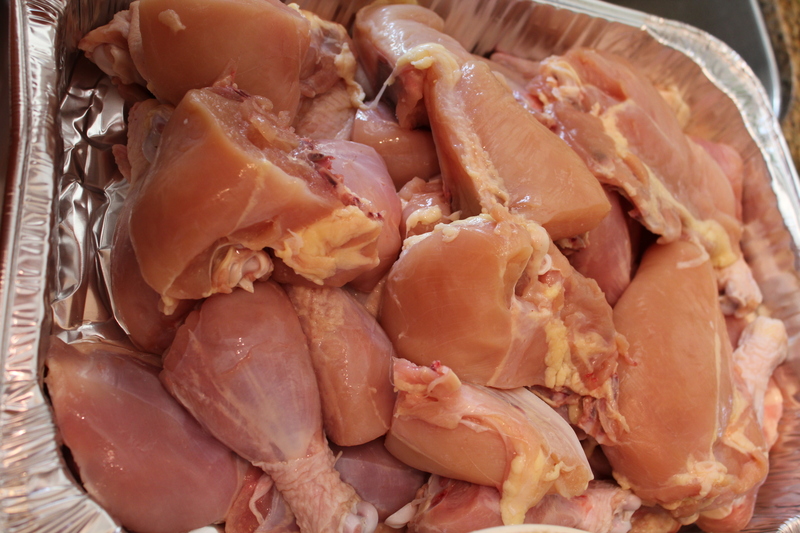 2 large pieces bone-in, skin-on chicken breast, each cut in half across the breast to produce 4 pieces similar in shape and size to thighs KF- Went skinless. Also cut breast in half to speed up cooking time. 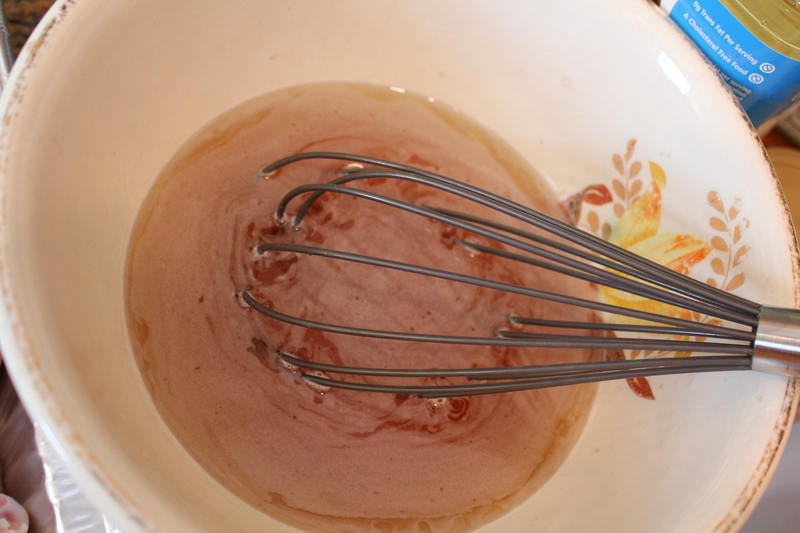 Mix honey and vinegar in a bowl and add chicken. Toss to coat and marinate 4 hours. Drain chicken pieces on paper towels and season with salt and pepper. KF:Used Agave Nectar instead of honey. Marinated for 6 hours. Heat 3 inches of oil in a large Dutch oven over medium-high heat. Oil should reach between 350°F and 375°F for frying. Beat egg whites in a shallow dish. 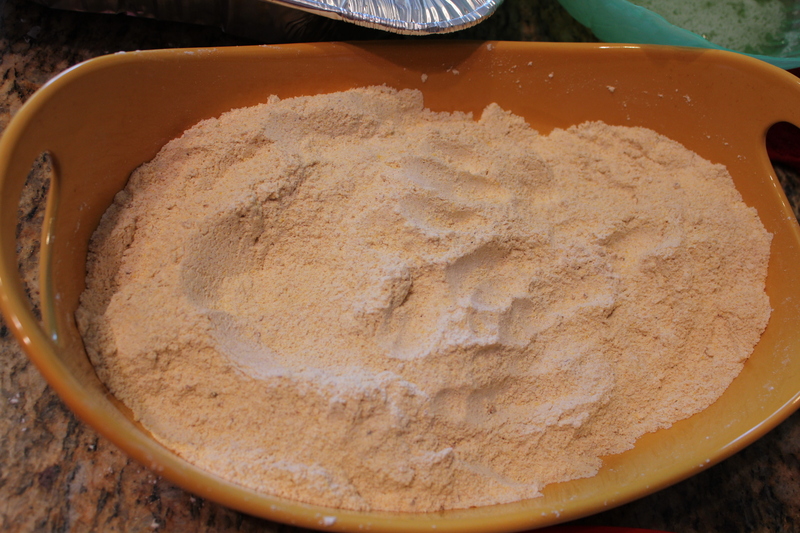 Combine cornmeal or breadcrumbs with flour, baking powder and spices. Coat the chicken pieces in the egg whites then toss in the flour mixture. Fry in small batches, 12-14 minutes per batch, until deep golden and juices run clear. 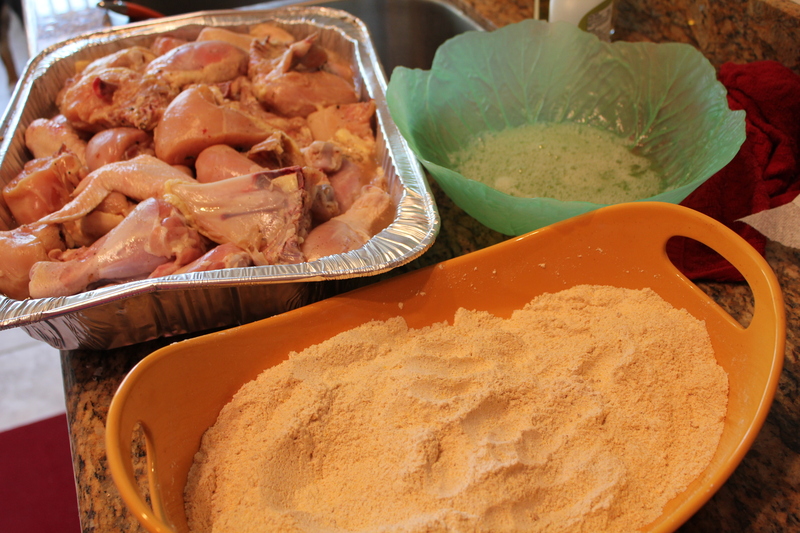 Season hot chicken with a little extra salt as they come out. 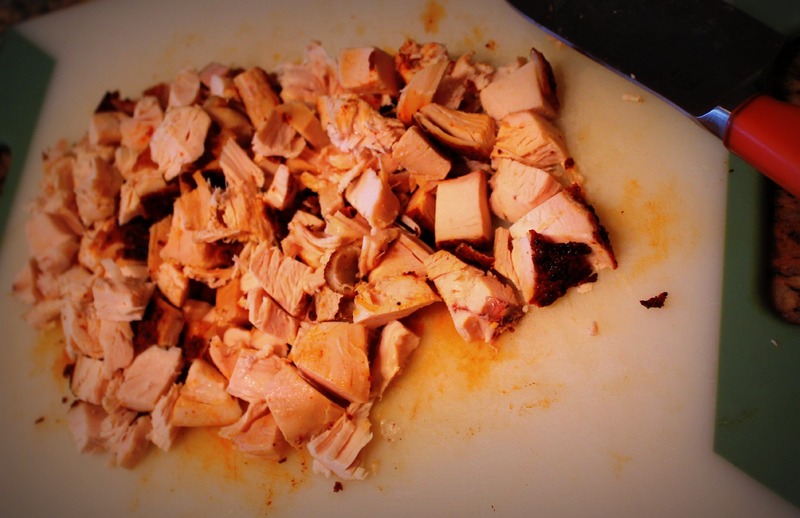 KF: Chicken needed almost 17-20 minutes for doneness. AT LEAST. This is a finished batch, resting on an opened brown paper sack. The sack helps to collect the grease. Not super pretty, but hey…chicken fries aint pretty! 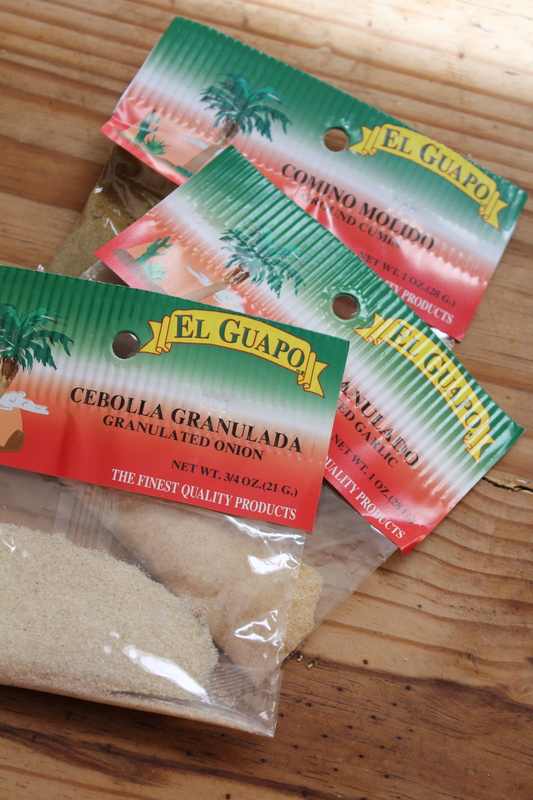 Serve with lime wedges and hot sauce. I couldnt even snap a picture without people reaching for more chicken. SUCCESS! Welcome to The Kitchen Fairy Blog! For the past two years, this site has been used to promote Kitchen Fairy Company, but will now be the home to my LOVE and PASSION. 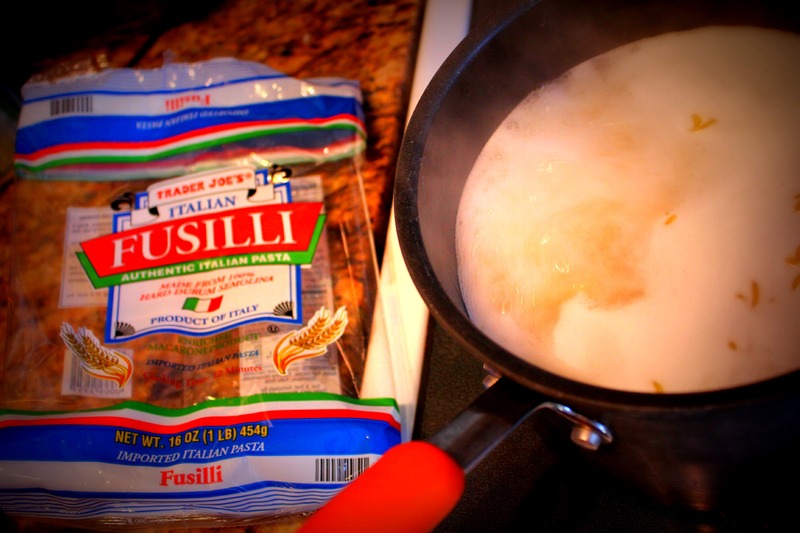 . . BLOGGING ABOUT EVERYTHING FOOD! Although this passion is (ahem) unfortunate for my waistline. . . I can no longer deny that I am a 100% undeniable FOODIE. Might as well embrace it. I have shared many of my favorite restaurants and recipes on my personal blog before, but this blog will be the last stop shop for Kitchen Fairy Food Fantasticalness. Thankfully, I have merged the two blogs as far as all of my food obsessions and recipes go! I hope you will take this journey with me as I share Kitchen Fairy original recipes, test celebrity recipes, try out new (scary) kitchen gadgets, highlight my favorite products, and ramble on and on about my favorite wines, beers, and booze. Let’s do this. . .